Can Obama Seize the Energy Moment? Will Obama stand up to big energy in deeds as well as words? Here’s the president on March 31, announcing his plan to lift a longstanding moratorium on offshore drilling: "Given our energy needs, in order to sustain economic growth and produce jobs, and keep our businesses competitive, we are going to need to harness traditional sources of fuel even as we ramp up production of new sources of renewable, homegrown energy." And here is the president last Wednesday, after yet another gimcrack solution at 5,000 feet under the waters of the Gulf of Mexico had gone awry, and real anger at the administration’s lackluster performance crested: "The time has come to aggressively accelerate [the transition from fossil fuels.] The time has come, once and for all, for this nation to fully embrace a clean energy future." The question is, Which one is the real Obama? Has he really been transformed by the oil spill in the Gulf, or is he merely trying to ride out the public reaction with stronger words? I think the answer is as murky as the water off Mobile. We don’t know because so far it’s all words—the closest he’s come to specifics is that pledge that we won’t be off oil in a decade. Which, of course, is true. Ten years from now, we’ll still be using oil—many of the people who bought new Fords this year will still be driving them in 2020. Exxon will still be in business. But this realism didn’t necessarily preclude him from saying so much more than he did. Had he chosen to, he could have declared: “Ten years from now, America will be using half the oil we do today and producing ten times as much solar power.” That would have been stirring. That would have put something on the line. Not only that, but the challenge he faces is so much tougher. The Apollo mission was technically complex, but in a sense the very opposite of our energy challenge: a moon shot meant focusing all our energy on three guys and a rocket, while an energy revolution would mean, in essence, landing all of us on a different planet, one where we no longer need the fossil fuels that are currently the engine for our economy. So, advantage Kennedy. In addition, no organized interest was fighting the space shot—if anything, big corporations were lining up for a piece of the action. Especially because Kennedy was taking a flier, there was no one demanding he go to the moon, and no real penalty for not even trying. (Lots of people thought we could have spent the money better close to home.) Obama, however, has no choice. The planet’s future (and his legacy) will, in the long run, be defined by his response to global warming, which is clearly the greatest problem humans have ever faced. Forget the cold war. 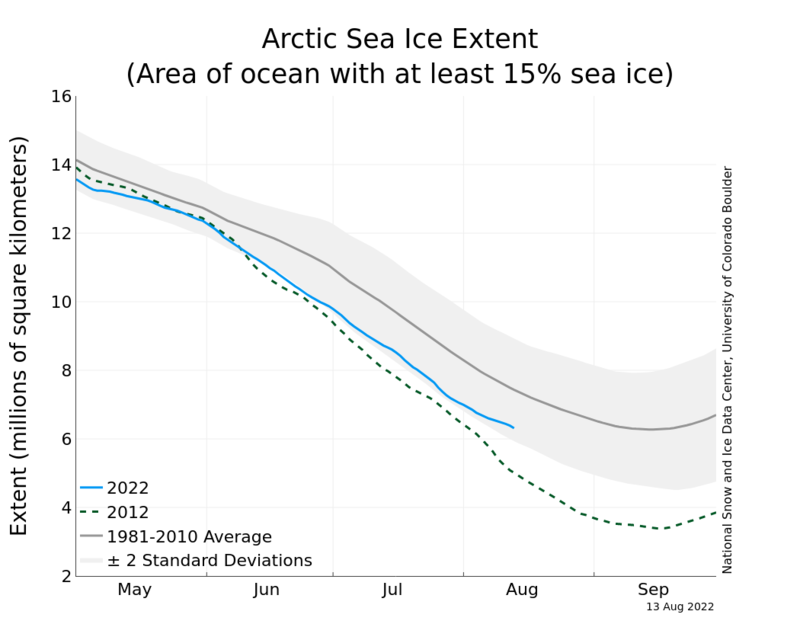 Last week, new satellite data showed that this summer’s melt of the Arctic is already ahead of 2007’s record pace. We’re in the middle of a heat war, and we’re losing badly. Globally, we’ve just come through the warmest winter on record, and it seems all but certain that 2010 will set a new record for the hottest calendar year. Every week we seem to see record deluges somewhere: May began with crazy flooding in Nashville and ended with inundation in Guatemala. Last week saw the warmest temperatures ever recorded in Asia and Southeast Asia. The president already has the podium he needs to start turning history, which means more than merely pushing for the climate and energy bill introduced last month by senators John Kerry and Joe Lieberman—a prime example of baby-step politics. As with his healthcare bill, on energy matters too the administration and its envoys sought out in advance the industries most likely to raise a fuss and cut the deals those cartels wanted. Just as Big Pharma knew it wouldn’t face negotiated drug prices, so Big Oil and Big Electricity have been assured that there will be no serious opposition to their business models. The bottom line: if you neglect all the offsets and loopholes, we’re aiming for a 4 percent reduction in carbon emissions from 1990 levels by 2020. Make your blood stir? Obama’s not proposing real solutions to real problems; he’s ticking off items on a list. He got a healthcare bill, and just maybe he’ll get an energy bill (though that’s an increasingly slim "maybe"). But we don’t need the bill, we need the thing. I’m putting this all on Obama, even though it’s clear that he can’t do it by himself. He’d need a movement to make real progress. That’s the tragedy, though: he’s already got a movement. He was elected with millions of us sending him money, knocking on doors, standing in snow banks with signs. He commands a standing army (albeit one that’s growing rusty from disuse and a little demoralized). And it’s not just here. Across the world, we at 350.org were able to organize giant demonstrations last year—5,200 of them in 181 countries, what Foreign Policy called “the largest ever coordinated global rally of any kind." We did it the way Kennedy did, by rallying people around a hard goal instead of an easy one: 350 parts per million of carbon dioxide which, according to NASA scientists, is the most we can safely have in the atmosphere. Since we’re already past that point—at 390 ppm—we need to work harder than we could ever have imagined. We really do need to get off oil in the coming decade. But to have a chance we need a leader. We need someone to stand up and tell it the way it is, and in language so compelling and dramatic it sets us on a new path. On this planet of nearly 7 billion, at this moment in history, there’s exactly one person who could play that role. And so far he hasn’t decided.